Kenneth T. Wheeler was elected Commander-in-Chief of the Sons of Union Veterans of the Civil War at the 95th National Encampment held in Columbus, Ohio, August 15 - 19, 1976. Brother Wheeler's great-grandfather, Edwin F. Wheeler, served as a private in Company F, 16th New Hampshire Regiment. He was killed in action August 16, 1863. Brother Wheeler joined the J.W. Spaulding Camp #38 in 1936. He served as Camp Commander in 1944. He held all the elective offices in his Camp and served as Secretary-Treasurer since 1950. He was a member of a degree team for several years. 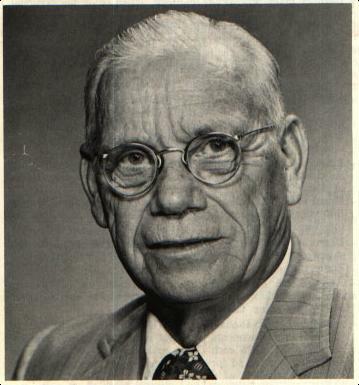 After serving in many elective offices, Brother Wheeler was elected Department Commander of New Hampshire in 1949. He had the honor of attending the last Encampment of the Grand Army of the Republic in Indianapolis that year. This was the highlight of his years of service with the SUVCW. He was again elected Department Commander for 1976/1977. Within the National Organization, Brother Wheeler served as National Genealogist, Nation Chaplain and National Patriotic Instructor. After retirement, Brother Wheeler served on the Milford Planning Board and a town school budget committee. Past Commander-in-Chief Wheeler answered his last roll call on April 18, 2002.